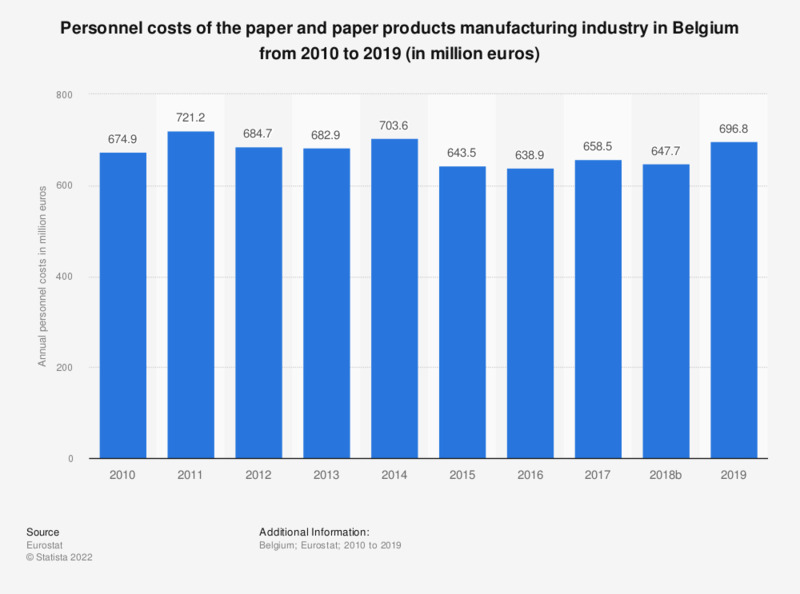 This statistic shows the annual personnel costs of the paper and paper products manufacturing industry in Belgium from 2008 to 2014. In 2008, paper and paper products manufacturing led to personnel costs of 795.4 million euros. Data coverage corresponds to code C17 of NACE Rev 2. Statistics on "United States pulp and paper industry"